Chandrapur and Yavatmal (Maharashtra): Rekha Madavi, 45, did not know the name of the pesticide her husband, Rushi, 55, had been spraying on their cotton crop. All their pesticide containers had been seized by the police for examination. “It is the same ‘mono’ aushadh (insecticide/medicine) that all of us in the village spray on cotton,” said Srikrishna Gedam, Madavi’s neighbour in Chak Mankapur, an adivasi village in eastern Maharashtra’s Chandrapur district. On August 26, 2018, Rushi Madavi had left home to spray pesticide on the family’s 5-acre cotton farm in Pendhari village, 2 km from his home. When he returned home around 3 pm, he complained of giddiness. “He ate one roti but began vomiting soon after. He could not speak. We called an ambulance from the hospital in Sawali,” said Rekha. He was given a saline drip at the hospital, but when his condition deteriorated he was referred to the district general hospital in Gadchiroli, about 30 km away. Rushi died that night in Gadchiroli. “Acute respiratory distress syndrome due to insecticidal poisoning, with hypotension and severe anaemia,” said the death certificate that his youngest son, Bhimrao, 25, showed us. Rushi was not the only victim of insecticide poisoning this year in eastern Maharashtra. 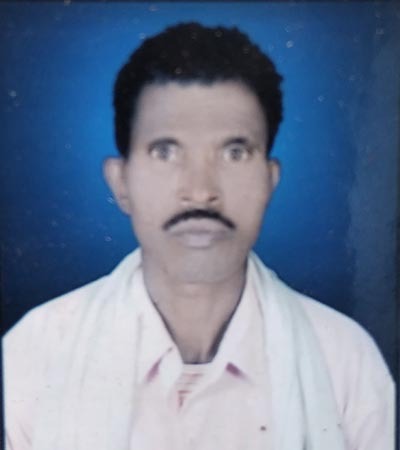 In two months, between August 2018 and September 2018, it had killed two other farmers in Chandrapur and Akola districts: Kumdeo Gurnule, 35, of Akapur village in Sawali taluka on September 13, 2018, and Vijay Sardar, 32, of Dahigaon village, Akola, on August 12, 2018. In 2017, 63 farmers and farm labourers died from the fatal effects of handling toxic pesticides in Maharashtra, most from eastern and northeastern parts; of them, at least 21 deaths were from Yavatmal district in the Vidarbha region. Cotton, the second-most cultivated crop in Vidarbha after soyabean, accounts for 50% of total pesticide use in India. It grows on 1.6 million hectares of land across Vidarbha’s nine cotton-growing districts in the 2018 kharif (monsoon) cropping season. Apart from the three deaths this year, accidental exposure to pesticides during spraying has landed 135 farmers from Yavatmal in hospitals since July 2018, according to district health office records. Our investigations showed that farmers in these parts routinely seek medical treatment--medicines, injections and saline drips--to deal with giddiness, vomiting and blurred vision caused by pesticide poisoning. 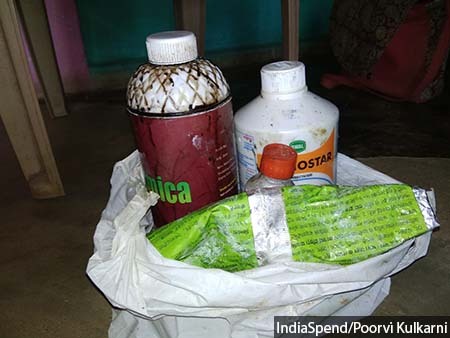 Our investigations showed that safety kits to be used while handling or spraying pesticides are not available in adequate numbers at krishi seva kendras (village-level stores that sell agricultural inputs). Instruction pamphlets distributed by the agriculture department do not reach all farmers. And pesticide containers are sold without measuring cups. Unregistered pesticides too are available for sale, according to local farmers. This is in violation of the Insecticides Act, 1968. Pesticides can cause immediate health effects in people who are preparing, mixing or using them, said the 2016 guidelines on highly hazardous pesticides published by the World Health Organization (WHO). Pesticides enter the body through the skin (contact), the lungs (inhalation) and the mouth (ingestion), according to another 2016 scientific paper, ‘Farmers’ Exposure to Pesticides: Toxicity Types and Ways of Prevention’. Inhalation of pesticide fumes results in serious damage to the nose, throat, and lung tissues, the paper said. Symptoms include dizziness, breathlessness and vomiting. In the lane parallel to Rushi’s house, Srikrishna Gedam pointed to an array of insecticides he had been using this kharif season. Among these is a container with the brand name ‘Monostar’. It is a highly toxic insecticide called monocrotophos that consists of organophosphorus compounds. Insecticides used by Srikrishna Gedam on his 7-acre cotton and 2-acre paddy farm in Chak Mankapur village, Sawali taluka of Chandrapur district. Two of the insecticides--monocrotophos and cypermethrin--are classified as hazardous by the World Health Organization, and one--Humica--is not registered by the government. Organophosphate pesticides, which proved fatally toxic for Rushi Madavi, can lead to convulsions, coma and sometimes, death, according to the 2016 scientific paper cited earlier. But farmers insisted that its use is unavoidable, at least in the first cycle of pest control for cotton crop. 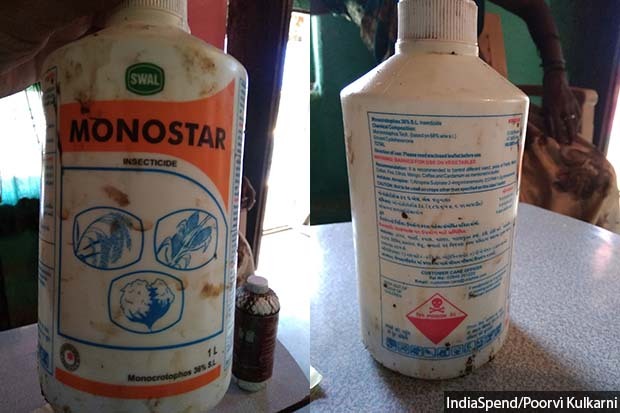 Monostar, a brand of monocrotophos insecticide, which Rushi Madavi was allegedly using. It is classified as highly hazardous by the World Health Organization and was banned by the Maharashtra government for two months in 2017. Yet, it is commonly used by cotton farmers in the region. Gedam did not get the protective kit that is supposed to be worn while handling the insecticide. He also did not get the leaflet that carries cautionary instructions for users. “He covers the face with a scarf sometimes,” said Surekha, his wife. Following the spate of deaths in 2017, the Maharashtra government had set up a Special Investigation Team (SIT) to probe their circumstances and recommend preventive measures. Two petitions--one in the Nagpur bench of the Bombay High Court and one in the Supreme Court--had also been filed by activists to demand a permanent ban on hazardous pesticides. While the Supreme Court is hearing the petition filed in October 2017 to ban the use of pesticides banned or restricted in other countries, many recommendations made by the SIT are still on paper. As many as 21 state-specific recommendations were listed in the SIT’s 56-page report concluded on November 27, 2017, to improve the monitoring and outreach mechanisms of the state agriculture department. These ranged from a ban on the sale of monocrotophos and creating a comprehensive information portal on pesticides to making safety kits available to all farmers and registration of all agricultural labourers and regular health checks for them. At least 11 recommendations have yet to be implemented and the status of seven are unclear. Three of the recommendations--identifying pest hotspots in villages, training krishi seva kendra retailers and publicising biopesticides--have been accepted and implemented. The state government had, on November 1, 2017, banned three insecticides--monocrotophos, acephate, diafenthiuron--and two combination insecticides--fipronil + imidacloprid and profenofos + cypermethrin--for a period of two months in five districts. Barring diafenthiuron, all the other insecticides and combinations are classified under class 1b (highly hazardous) and II (moderately hazardous) by the WHO. Based on their oral and dermal toxicity, pesticides are classified by the WHO into five categories: These range from class 1a (extremely hazardous) to Class U (unlikely to cause hazard). In the current pesticide spraying time, however, there is no ban on any of these pesticides. “A proposal to ban these five insecticides again is under consideration. A decision is yet to be taken,” said Vijay Chaudhari, deputy secretary, department of agriculture, Maharashtra. “But we will be able to ban it only for 60 days.” A state government may prohibit sale, distribution and use of any insecticide, for not exceeding 60 days if it is likely to involve risk to human beings or animals, as per Section 27 (1) of the Insecticides Act, 1968. The powers to permanently ban or cancel registration of insecticides rests with the central government, state government officials maintained. Bijay Kumar, then additional chief secretary, department of agriculture, Maharashtra wrote, on March 27, 2018, to the secretary, central insecticides board and registration committee (CIBRC) at the union ministry of agriculture, to permanently ban these five pesticides. Six months on, there has been no response yet. “Agriculture department must make personal protective equipment available to all farmers and farm labourers through krishi seva kendras,” the SIT report had stated. Section 39 of the Insecticides Rules, 1971 requires persons handling insecticides during application to wear a protective suit consisting of overalls, hat, goggles, boots and gloves. Section 40 also provides for respirators to be used by workers and Section 42 stipulates that pesticide manufacturers and distributors must arrange for worker training in safety precautions. Ajay Potwar, who runs a krishi seva kendra, Shri Sai Traders, at the Sawali taluka headquarters, has not had any protective kits supplied to him for distribution among farmers. “We have been given four kits by the companies which we lend to farmers as and when they need it and (they) are asked to return it after use,” he said. 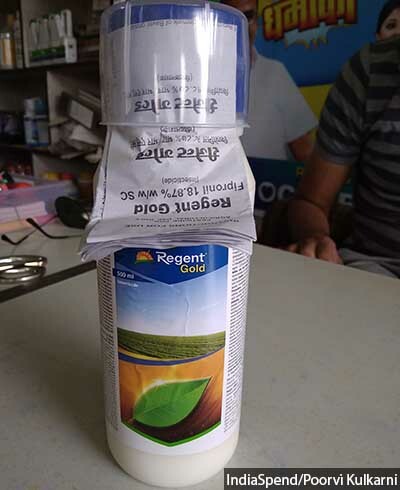 Like most stores, none of the pesticide containers at Potwar’s store had instruction leaflets or measurement caps attached to them. “We give these to the farmers separately,” he said. Every insecticide package should include a leaflet, as per Section 18 (1) of the Insecticides Rules, 1971. Providing measurement caps with pesticide containers was one of the SIT’s recommendations. Pesticide containers at a krishi seva kendra (village-level store that sells agricultural inputs) in Sawali taluka, Chandrapur district. Measurement cap and leaflets are not attached to the containers. They are given to the farmers separately at the time of purchase. Insecticides Rules, 1971, mandate for a leaflet to be included with every insecticide package. An insecticide container for sale in a krishi seva kendra in Umarkhed taluka, Yavatmal district. Leaflet and measurement cap are attached with every container. Retailers and farmers said that the enforcement of safety norms had improved after 21 pesticide poisoning deaths were reported in the district between August and October 2017. Pesticide consumption and usage in Maharashtra was the highest--13,496 metric tonnes--in India in 2016-17, according to data maintained by the directorate of plant protection, quarantine and storage. 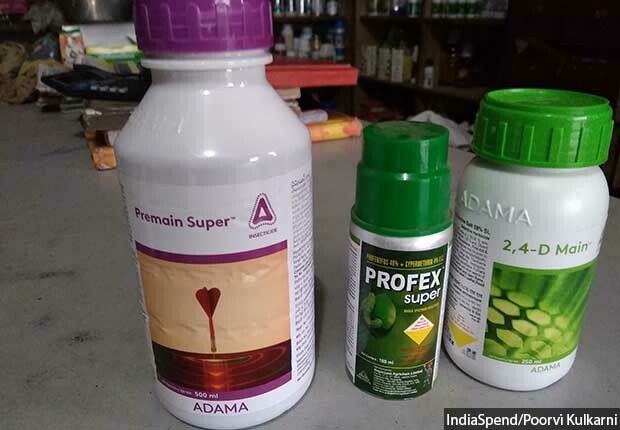 The pesticide industry in India that manufactures different crop protection products--insecticides, fungicides, weedicides, herbicides, biopesticides and plant growth regulators--reported annual sales of over Rs 13,000 crore ($1.76 billion) in 2015. Why is there laxity in using safety kits then? “Farmers complain that the protective kit with the head gear and the coat is too hot to be worn in the climate here,” said Madavi, citing one commonly heard reason. In such conditions, the International Code of Conduct on the Distribution and Use of Pesticides framed by the Food and Agriculture Organization has advised prohibition of harmful pesticides. Section 3.5 of the Code states that pesticides whose handling and application require the use of uncomfortable or inaccessible personal protective equipment should be avoided. But, these guidelines remain on paper too. Some stores in Yavatmal were making an attempt to raise awareness about the need to adopt safety measures, we found. 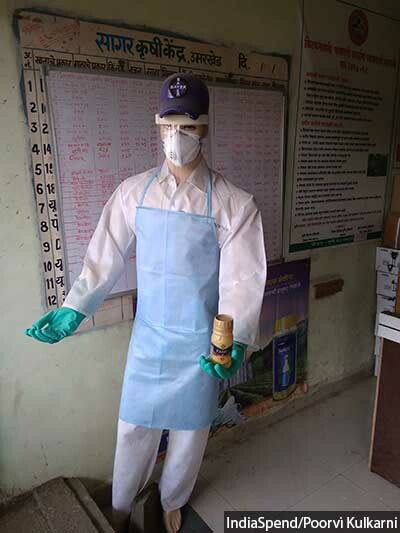 For instance, at the Sagar Krishi Kendra in Umarkhed taluka headquarters, a mannequin clad in protective gear was on display. A mannequin clad in safety gear on display for awareness at a krishi seva kendra in Umarkhed taluka, Yavatmal district. The protective gear is mandated to be worn by farmers and farmer labourers at the time of spraying pesticides on the fields. The taluka agriculture office here has held many training sessions for retailers to ensure that they spread awareness among farmers and urge them to buy protective kits, said store owner Rehanulla Khan. Khan has sold 290 kits this season. Each kit is priced at Rs 195 and includes a cap, a face mask, overalls and gloves. Boots are not included in this deal though Section 39 of the Insecticides Rules mandates it. The store caters to farmers from around 25 villages in the vicinity. “At least 50% of the farmers are abiding by these precautions now,” said Khan. He has also sold 1,800 pheromone traps (that trap male moths and keep them from multiplying) this season. These traps are advised as a safe substitute for heavy insecticide spraying. A pheromone trap for sale at a krishi seva kendra in Umarkhed taluka, Yavatmal district. It attracts and traps pests--male moths--on cotton crop and is recommended by the agriculture department as a substitute to large-scale pesticide spraying. Each trap is priced at Rs 75. After the 2017 tragedy in Yavatmal when 21 deaths were recorded in the three months leading to October, the district administration had moved to initiate safety measures. But it wasn’t enough, said local farmers. At the gram panchayat office in Akoli in Yavatmal’s Umarkhed taluka, Baburao Waghmare, the deputy sarpanch, and other farmers showed us the three kits that the government had given them. “Anybody who needs it can borrow from here, use and return. One of these has been borrowed by a farmer,” Waghmare said. The other two, however, were unused and items such as goggles and gloves have not even been unpacked yet. 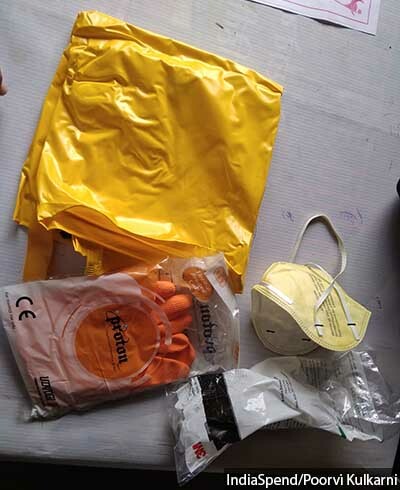 A safety kit--apron, gloves, goggles and mask--provided by the agriculture department to the Akoli gram panchayat for use by farmers when needed. Two of the three kits were unused and yet to be unpacked. Boots and a hat are also mandated to be included in a safety kit. “Yes, the government gave the gram panchayat kits for us to use. But, our spraying rounds were almost over by then,” said Dnyaneshwar Shire, 36, a farmer and farm labourer from Akoli said. Shire was admitted at the Nanded district hospital last year for 10 days because he showed symptoms of pesticide poisoning. “Even now, if I spray for two days, I have to rest the next three days. I dread going to work on others’ farms now,” said Shire, who jointly owns three acres of land with his two brothers. In spraying season, he spends around Rs 400 every month on doctors’ fees and medicines, he said. For Rohidas Jadhav, 38, a landless daily wage labourer from Amaanpur village in Umarkhed taluka, pesticide spraying is off the list of jobs he can take on. On September 14, 2017, after seven days of continuous pesticide spraying, Jadhav had blacked out, his tongue swollen and unable to speak. “I was admitted to the intensive care unit of a private hospital in Pusad for two days and ended up spending up to Rs 30,000. I cannot afford to do this again,” Jadhav said. He did not get any compensation for his medical expenses. Jadhav now only works on sugarcane farms and takes up other civil and electrical works. His two daughters, Mona and Lekha, have dropped out of school after Class 7 and now work as labourers on farms. Rohidas Jadhav, 38, with his wife and daughters, Mona and Lekha, outside their home in Amaanpur village of Yavatmal district’s Umarkhed taluka. The family does not own any land and lives off daily wage labour. Jadhav was admitted to a private hospital last year after he accidentally inhaled pesticides while labouring on a farm. Jadhav’s family spent Rs 30,000 towards treatment and has received no government aid. To mitigate these hardships, the Maharashtra government had, on July 19, 2018, come out with a compensation policy of Rs 4 lakh for the families of those who died due to pesticide poisoning. Those disabled by pesticide poisoning were to be granted Rs 50,000 to Rs 2 lakh and those hospitalised, Rs 1,000 to Rs 14,000. But, there have been delays in disbursing these amounts too. Shalu--widow of Sainath Madavi who died on October 17, 2017--received Rs 2 lakh in August 2018, 10 months after her husband died. She is entitled to Rs 4 lakh as per the compensation policy. 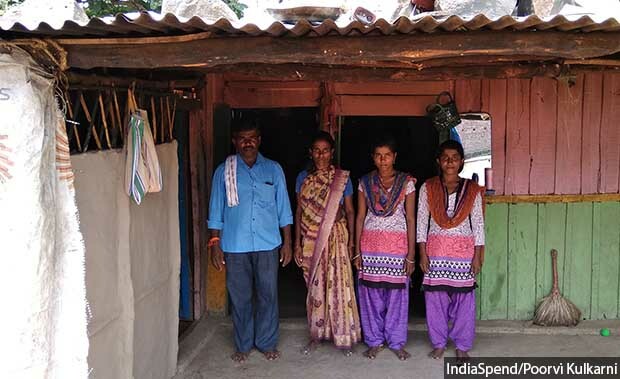 She has been struggling to repay loans, manage household expenses and care for her two school-going daughters with limited income from her 2-acre farm and daily wage labour. “It is only after I got the compensation money that I could repay Rs 60,000 to a krishi seva kendra owner from whom we had taken a loan,” she said. The compensation amounts are drawn from two separate funds and separate proposals have to be sent to the state authorities, explained Chandrapur collector Kunal Khemnar. “We have sent the proposal for an additional amount of Rs 2 lakh and will disburse it when we receive it,” he said. Other important recommendations of the SIT were to distribute pamphlets in villages, hold fortnightly meetings on pest control measures and fill vacant posts in the agriculture department to reduce workload and strengthen outreach. However, 28% posts in the state’s agriculture department are vacant, according to data collected from the department. Of the taluka-level posts of taluka agriculture officers and quality control inspectors, 40% are vacant. Public awareness meetings were held once a month in every village, said BV Nandanwar, agriculture supervisor, Sawali taluka. “We have also distributed over 8,000 pamphlets on different aspects of pest control,” he added. There are more than 27,140 rural households in Sawali taluka. Rushi’s village has seen another pesticide death in 2017. Sainath Madavi, 35, died on October 17, 2017, of insecticide poisoning. He had been spraying three insecticides--Hamla 550, Polar and Quick--as per the police report. Gedam, 40, pointed to the insecticide containers and a plant growth regulator (solvent that boosts crop growth) stored in his farm. “I have started using all of these only in the past two to three years,” he said. A paddy-cultivating village of around 60 adivasi families, Chak Mankapur was introduced to cotton farming only three years ago. It has now become popular among farmers because despite the heavy investment it demands, cotton brings in higher incomes. But cotton cultivation has also brought with it distinct farming practices. Of all the crops, cotton required the most pesticide treatment--four to eight rounds in a season--due to high risk of pest infestation, said farmers. Gedam’s pesticide collection included ‘Humica’ which consists of humic acid--a substance containing humus among other contents. But the pesticide bottle bears no registration number and does not feature in the list of pesticides approved by the CIBRC. Gedam spends up to Rs 12,000 every season on the pesticides he uses on his 7-acre cotton farm and 2-acre paddy farm. “In the cropping season, I take four to five injections (to treat symptoms of pesticide exposure). We don’t have any other effective alternative to these pesticides. All we can do is take timely medical treatment,” said Gedam.